Only the freshest locally-sourced Ingredients, a charming space to feel relaxed and delighted in, and your every need handled so you can enjoy your event... this is K'Syrah, the premier farm-to-table catering and event venue serving season-driven dishes to California's Central Coast and bringing the highest quality catering to events in Southern California. Nestled In the heart of Solvang, our all-new, over 3,500 square-foot venue Is full of rustic charm with an enchanting outdoor garden patio, enclosed patio, handmade sycamore bar, and a rustic, wood-lined dining room, where Executlve Chef and Owner Demetri Loizides specializes In crafting custom menus for the most memorable culinary experiences. 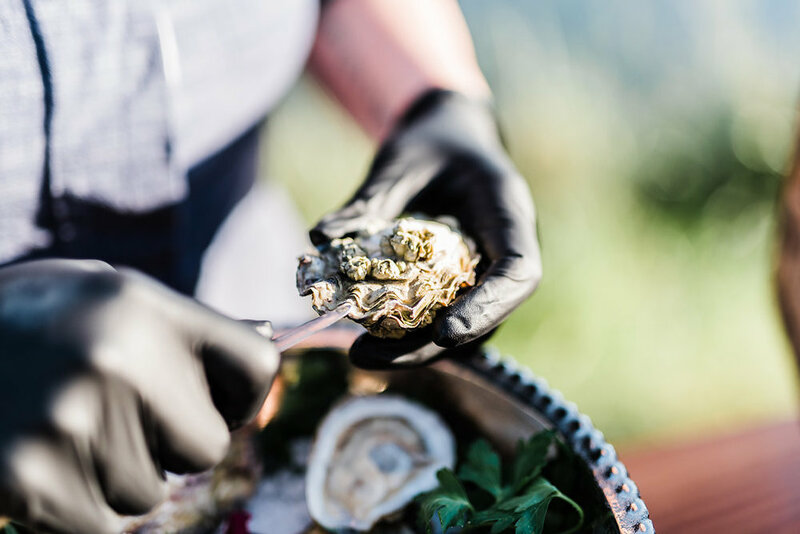 When you need exceptional catering at your own location, our mobile, professional, full-service and self-contained kitchen can be set up in nearly any environment, bringing all the K'Syrah goodness right to you and your guests.